Hey Peter, another great blog post! I'm looking for a 3-column Minima template that doesn't restrict the center column width or at least doesn't restrict it as much. It looks like both Ramani's and yours have a pretty narrow center column. Any suggestions? Advice? Thanks! Hi Peter, I changed my template to the new blogger 3-column like you put in the text box - but, it's farked. I don't know what to do to fix it. Anyone else reporting trouble? I can revert to one of the old templates, and will do that while I figure this one out. Bummed. ahhh! I got it! VERY nice. I like this template - simple and I can still modify the colors and fonts! Very good! Thanks Peter. Here is my new site with newly implemented 3-column blog: Blog Simply! I tested it and found that what you said is true. The template wouldn't save. For the time being, (make sure your template has been backuped) go to New Blogger 3 column Minima template and use that template while I try to figure out what is wrong. There may be a few extra Page Elements, etc., but that you can fix easily via the Layout. Please keep me inform of the progress. 1. to make the width of the Header the same as the rest of the content. 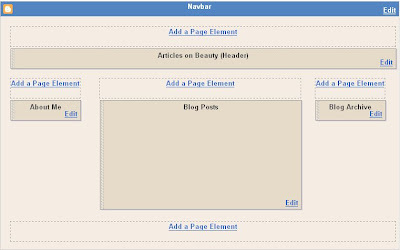 2. to add extra "Add a Page Element to your template (Layout) for the header as well as in the main column (post). Adding a "sticky post", search box, etc. above the main column. That would give you more flexibility and greater visibility to your ads. My suggestion is to add a link unit just below the title as it is not too intrusive and have high visibility. "I am blogrolling you peter". Dummies Guide to Google Blogger. However, don't feel obliged. It is OK if you choose not to, but may be helpful for your blog readers to find useful information and the help they may sometimes need. 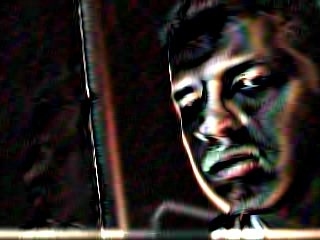 S.Webex again! I write you regarding the "New Blogger 3 column templates modified by Ramani and you". I managed to follow all steps as instructed, but failed to Preview it correctly! XML error message: The reference to entity "action" must end with the ';' delimiter. I am really no clue about it, try many times already. Please kindly help me to solve this problem. Thanks for your time and kindness. Post your email address or if you are afraid of email harvester and spam, send email to me at bloggerfordummies at gmail dot com and I will send you the xml file by attachment which you have to save to a suitable folder in your computer. Then rather than copy-pasting the template, in the template editor, click browse, find the xml file you saved and click upload. You should have no problem. I wish I would have found this sooner. GREAT SITE. I have already made my blog a 3 column page - # 12 Ryan Newman News and Information. I am starting to like the look....but of course I just keep working on it :) What I would like to do is seperate the columns just a little. I think it would give the page an intersting look. I have tried and tried. I did figure out widening the column--kind of , but not seperating. Nice blog you have. Regarding the 3 column Minima template, Stavanger has also modified a Minima template to 3 column. 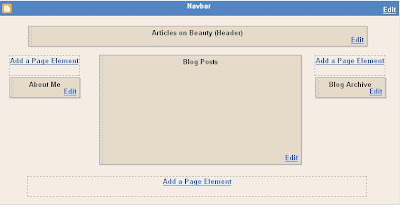 Why don't you check it out at New Blogger 3 column templates modified by Stavanger. Of course, if you do decide to test it out, test it out with a test blog first or BACKUP your current template. Please send the xml file to me at sirwebex@gmail.com. I am hungry to try out the 3 column template. Thanks and have a good day. To get access to the Google group, all you need is to apply. I approve ALL applications. I didn't set it. Somehow when I set up the account, it was set that way. I just thought I would leave it that way as it helps me keep count of how many people are accessing the group - rather like having a hit counter. It is easy to do since with New Blogger, you already have a Google account. Sorry for this little bit of inconvenience. Hey Peter! I wanted to thank you because it finally worked (even with my little prob). Hey what's up? This totally helped BIG time. Thanks for this. I was just wondering, how can I get the 3 columns to have the same width? Because after adding the 3 columns they overlapped and the 2 sidebar ones are too small, any suggestions? These are Ramani's templates and he is the one most familiar with the templates. Why don't you try commenting in his blog? He does answer comments. I had problems downloading this template. When I attempted to uploaded the file, I received an HTTP 400 error. Please Help!! If it is the other templates, you will have to comment again, hopefully given fuller details. See Asking for help. New Blogger is very fussy with templates. Look at the problems I sometimes have: Menu bar for blog Header. If you can tell me which template you are trying to upload, I can upload my current template to Photostore and you can get it from there. I am not HTML and CSS savvy, so please forgive me. This is the template I was attempting to upload: Ramani's minima3col modified. Backup and edit New Blogger template. Change to a standard Blogger template (Pick New) to try to get rid of whatever may be causing the problem. Then try uploading the template again. Or you can give me your email address (if you feel comfortable) by typing it in the form xyz at gmail dot com so it wouldn't be picked up by email harvesters and I will send you the template by attachment. Here you go: only1cassie at gmail dot com. Can you upload the right version for me somewhere? or explain how to fix this error? Thank you sooo much! Sigh! New Blogger is very fussy with template. Many times I have done what I believe is all correct but still get that infamous error message. Try getting my backup template (some may be original, can't remember) from Template Store and comment again if you find anymore problems. Hey Peter, trying to reach Template Store but with no sucsess... it says "still pending" (for about 2 days now). I guess, ill stay with Boeders by now, and ill try this 3col. template again later. Thank you again for all your work! i really appriciate it! I just check the group and found no pending application. I also didn't receive an email for approval. Maybe they have the same problems as Blogger where some comments don't get email notification for moderation. Apply again or send me your email address and i will send an invitation to you. Your profile don't have your email. Your blog is informative and useful. Just one feedback that the wordings of your posts are too cramp with each other. This is very hard to read, try increase the space between, please. I am sorry you find my blog hard to read. I am 58 years, and I have the font size of my browsers set to 16 and so far have no problem. However, my son has set the font size in his computer much smaller, and that gives me a bit of problem too. I have to apologise that I wouldn't change the settings (style sheet) for my blogs as surfers of all ages visit the web and if I change it, they may have their complaints too. I would suggest you change the font size for the browser you use in your computer to a size you are comfortable with. See Change font size of browsers for instruction. I currently have problem with changing the font size for Internet Explorer, but changing the font size for FireFox browser and Flock browser is easy. If you are like the majority of the surfers who only have Internet Explorer, I would highly recomment you get the FireFox browser. I am a retired Associate Professor and have a reputation to maintain. I would not recommend something to you that I myself would not use or like. Further, FireFox browser is also recommended by Blogger. 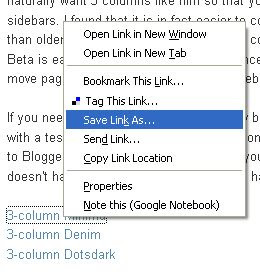 See the screenshot of a page from Blogger Help pages at FireFox browser. XML error message: The document type declaration for root element type "html" must end with '>'." I have received quite a few questions of this nature. New Blogger is extremely fussy and sometimes we just don't know why we get error messages even when we are quite sure of doing the right thing. Above, someone by the name of Mike mentioned he wanted to know how to seperate the columns like they did on this page here http://pwdtest3.blogspot.com. I am also curious with a 2 column layout on Blogger, how I can seperate the columns so that there is space shown (prefer the bg color) between the main and sidebar. Can you help? Thank you! in between the lines and preview, see if it does what you want. I am no CSS expert, so I cannot guarantee success, but if you do want to do some tinkering around and succeed, hope you do us a favor and give us some feeeback. Hi Peter, late in the evening I managed to upload the modified 3 col tmplte.Unfortunately, the right-hand side column cannot display widgets. I've tried replacing widgets from left to right but nothing shows up. I've read all posted comment in here but none was similar to my problem. Please advise me if you have any idea. (M using 3col Min template from blogcrowd right now but still want urs). 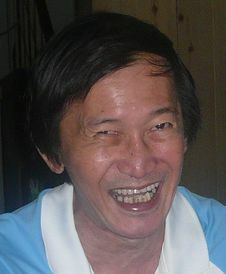 BTW, I also encounterd error during uploading 3ct. What I did was clearing cookies, history and delete files including offline content. Close the window, reopen and start again from the downloading process. I am afraid I don't understand when you say "right-hand side column cannot display widgets." Are you referring to the LATOUT or the blog itself as displayed on the Web? It will be great if you can make screen shot or shots of whatever problems you are experience. Copycat me and create a blog like My photo store, upload your screen shot or shots there, let us have the URL of that individual post page (permalink) where they are uploaded so we have a better idea of your problem. Hi! I'm new to your blog, great blog progressing here! I have few questions here before I using this templates. 1) I'm using Dark Dots templates. If I change to this 3 colums templates, do my blog still have those what I called 'wallpaper of dots'? Means that I wanted to know whether this templates only change my 2 columns templates to 3 columns and not changing to you white colour wallpaper... How this works? 2) All my links, list, playlist and widget will be gone? I have to backup and redo it later? Is it like that? Thanks for your busy time...Have a nice day! Keep on the great work! If you change to any template, you will lose a lot of things, including your "dots" which you so love. If you still want dots with 2 sidebars, refer to New Blogger (xml) templates and look for the link that has the name Stavanger in it. There you will find a ready made 3 column Dots template. Can't remember all that is inside those posts but will appreciate feedback so I can improve on them. Thanks for your speed reply! Great job! I found out that, all those is really helpful! I will post a topic about your blog as a thanks and to help the viewer of my blog of the tips and trick provided by your blog! I can kill two birds in one stone! I'm sure this will help many people! Thanks and see you. Have a nice day! You are amazing, I have been reading up on your blog, and was able to do the 3 column to mines. But the middle column looks like it is a little more to the left, and I would like to space them evenly if possible. Can you help me? My site is located at www.expressivelyme.blogspot.com you can either post a comment here, there or send me an email at littlecs7@gmail.com. Thanks so much for your time and help!! I have changed all the templates of my main blogs from 3 column to 4 column to take advantage of the bigger screen of visitors. There are now very few visitors still using the narrow 800x600 screen. can you please tell me how to add a right column to dot temlate. Thanks. Do you have another anima coloumn modification? Yes. Modification to 4 column Minima template and 4 column Minima template with expandable post summary built-in and 4 column Minima Dark template, all optimized for 1024x768 screen resolution. Please help... when I right click on the three column template I want it won't unzip correctly, so blogger is not accepting it when I try to download it onto my blog... how can i download it correctly??? Use copy-paste from 3 column Minima template. However, why don't you use a wider 4 column Minima template or even better, a 4 column Minima template with 3 column footer? Dear Peter! For some unknown reason the right column of my 3 column blog "dropped" down below the blog posts. I thought that I have made an error when I converted the blog into a three column blog. I reloaded the saved template, same problem. I started all over again, and even the basic two column minima template drops down. Where could be the problem? Dear Peter! I checked my posts one-by-one, and when viewed separately, the sidebar was at its place. Then I found someones comment about the new read more feature, that it was the reason. And I figured, that it really was the reason for me as well. I am really sad, because I am planning on longer posts, but would like my readers to see many posts without needing to scroll a lot. Any other ways than using the new feature? I will ask the blogger help desk as well,as you have adviced to someone. Thank you for your help so far! I will try to widen the 3 column template I found through your post, I hope I won't need to bother you with that :-). Your help was great, and above all quick! Another blogger had this sidebar at bottom of page problem after switching to updated post editor and found out that the cause was the <div> tags plus solved the problem by changing the <div> tags to <span> tags. Perhaps that could be your solution? Peter! Changing div-s to span did work! I like to Download Same Template How can i get it ? You can get the templates from 3 column Minima template or 4 column Minima template. In that blogs, there are also other templates.